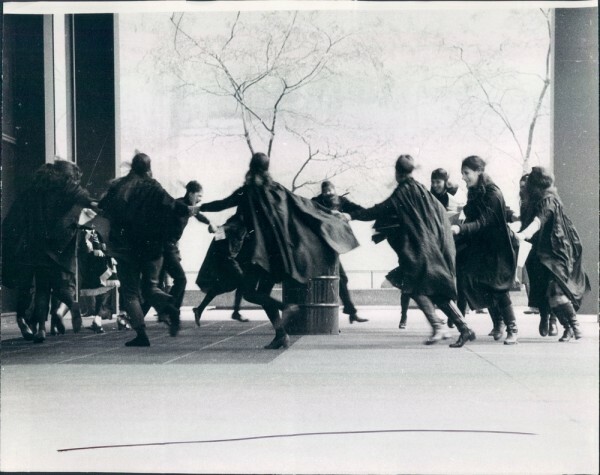 Dance of the WITCHes in Front of Chicago Federal Building, Oct. 31 1969. Originally posted on the Hostis website. Aragorn! is an anarchist publisher (at http://littleblackcart.com), talker (http://thebrilliant.org), and has been involved in building Internet Infrastructure since the late 90s. The beautiful idea: Anarchism means many things to many people. Classical anarchism in Europe defined itself in relief to its three opponents: the church, state, and capital. In our historical estimation, we find that anarchism in America has been known in any given time much more through its associated struggles. Decades ago, it was synonymous with punk rock. Even before that, it bore the face of immigrants: Emma Goldman, Johann Most, Sacco and Vanzetti. Contemporary anarchism has been linked to the anti-globalization movement and more recently, Occupy. The picture gets even more complicated if we expand our gaze globally, especially when we include Asia, Africa, and the Middle East. Does the same fire burn in all of these times and places? Is there something that persists beyond a shared name? To be direct: what is anarchism? The answer I now give to this question is that anarchism is the start to a conversation. As someone who loves that particular conversation, I use the word freely, contradictorily, and in public places. I continue to find the implications of words – words spoken out loud, not hidden behind word-processing software – to be bracing. The power of saying “I am for a Beautiful Idea called anarchism” out loud still makes me feel something –something akin to how I felt at a punk rock show (where my politics did originate), something not jaded.